What a brand new burst of sunshine. 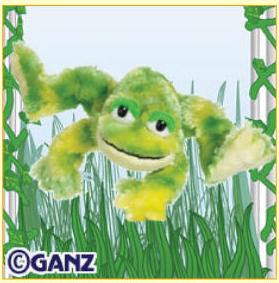 This is a whole new different frog that has just been added to the webkinz team. So bright and very colorful. The shades of green is just awesome. Sensational this webkinz is. This frog is going to be a hit. This little tot will brighten your day. Special item: Tie Dye Frog Kaleidscope. Special food: Tie Dye Fly Pie. Let the sunshine in. The webkinz tie dye frog is going to make you smile.